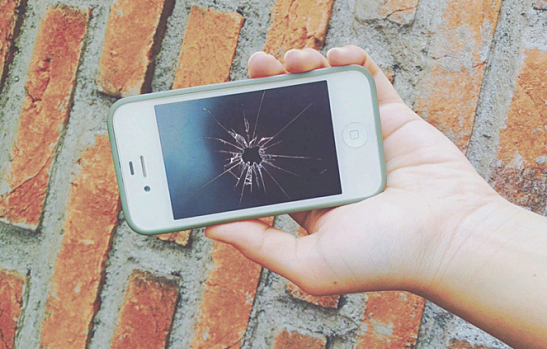 Since 2007, damage to iPhones has cost Americans $10.7 billion and a total of $23.5 billion across all smartphones. Turns out a cracked screen or dunk in the toilet happens pretty frequently – and at a steep price. But the way we buy devices – and more often replace must-have gadgets – is changing. Today, consumers have unique options to save money on iPhone purchases. Ever considered buying a refurbished iPhone? Here’s why you should. A friend of mine recently purchased a brand new iPhone 6 from her wireless carrier. Just one week later, her phone became a pricey paperweight after going through a cycle in the washer. Without an upgrade discount, a replacement iPhone would cost her a mind-blowing $649. Purchasing a refurbished iPhone saves consumers hundreds of dollars. Used smartphones come in ‘like-new’ or ‘good’ condition, with minor cosmetic blemishes. 2. Lost, stolen or broken? No need to worry. Twenty-five percent of Gazelle’s customers cite a lost, stolen or broken device as the main reason for replacing their phone, making older models not only a practical solution, but also a cost-efficient one. Buying used also spares the constraints wireless carriers place on their customers (e.g., no contract needed). And by buying used, you don’t have to sacrifice quality for cost. A study revealed that 60% of parents offered their children cell phones at ages 10 or 11, a number that continues to skew younger. At six, seven and eight years old, children do not understand the responsibility of owning a new iPhone, let alone comprehend the cost of replacing it when it breaks. For parents looking to fit their child with his first cell phone, a brand new, fragile iPhone may not be the best choice – and for good reason. A refurbished iPhone is a no harm, no foul approach to suiting children with their favorite shiny object. Convinced? For more information visit Gazelle’s Certified pre-owned store. Kevin Walther is a communications specialist at Gazelle and editor for The Horn. Reach him at kwalther@gazelle.com and follow him at @waltherkevin. Connect with Gazelle on Twitter and Facebook. New Home Devices: Time to Simplify?